I admire your skills and competence as a therapist, the best therapist I have ever had and one of the best therapists that I have known. I think your professional ethics are beyond the vast majority of the therapists out there. Ginny is one of the most talented holistic health counselors and practitioners with whom I have worked. She effectively blends her broad training, extensive experience and intuition into a unique approach that has shown proven, powerful results with her clients. 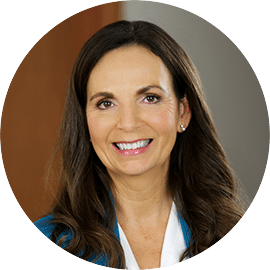 Ginny’s years of expertise along with her integrity, clarity, intuitive listening and compassion make her a powerful ally for all who are in need of support on the path to mind-body wellness. She is a beautiful soul, gifted healer, and caring teacher. As a student of Reiki and a Seeker of Life I was fortunate to find and become a student of Ginny’s over 20 years ago. Her teachings and support have been carried deep inside me and influence many of my life decisions. On the last day of 2017 I reflected on the year and saw a profound “big picture”. Challenges were literally bringing me to my knees. I needed support and I needed advice. The Universe never fails to respond when asked, sincerely, for help. A few days later an email came that Ginny was coming to town. I wasn’t sure what to expect in a life coaching session but I knew that I needed to be around Ginny’s energy. I left that session absolutely knowing that my life was about to change. 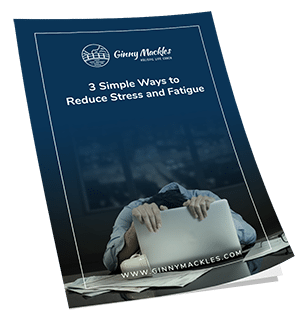 Ginny’s ability to listen without judgement, understand exactly what the situation at hand is and offer advice that resonates on every level is something that I have never experienced. My life moved forward, without fear, and is now back on track. I am grateful beyond belief. Knowing that Ginny is a phone call or a Skype away gives me the strength to continue my journey and live a life true to my beliefs. I went through the Reiki Mastership program with Ginny. She has always guided me with her integrity and knowledge. Ginny has devoted her life to her Reiki practice. She has continued to study under many Masters in different lineages in order to learn the true history and different approaches to Reiki. She has incorporated this within herself, her sessions and her teaching. I am grateful that I had the opportunity to study under Ginny. Thank you for your patience, guidance and loving energy. Your program made a remarkable difference for me. The best part about this workshop is the personal attention to the participant’s needs. This Mindful Living seminar was excellent! I am going to recommend this program to all my co-workers!! Ginny is amazing, insightful, caring. She has helped me heal, transform and expand in so many ways. I have known Every time I have a session I know it will be rich and tremendously beneficial.